Clinical nurses Kristina Cooper and Erin Nihill care for women with gynecologic cancers and breast cancer. We offer professional development opportunities for both our staff and the nursing community at large. Our Clinical Assistants Program pairs nursing students with experienced nurses on our inpatient, outpatient, and perioperative units. We also offer a number of training opportunities to the nursing community at large through our programs in Continuing Nursing Education. Our own staff benefit from our Nurse Residency Program for newly graduated nurses, as well as our Nursing Career Ladder to foster professional growth. Each summer, the Department of Nursing provides senior-level nursing students with ten weeks of full-time employment to gain clinical experience through the Clinical Assistants Program, or CAP. Trainees have the opportunity to partner with experienced nurses from our inpatient, outpatient, and perioperative divisions. Approximately 30 nursing students are accepted each year. Memorial Sloan Kettering is committed to improving quality of care for patients by educating the professional nursing community. We provide a variety of continuing education programs open to our employees and the nursing community at large. Learn more about programs currently open for registration. Our newly graduated nurses are supported from the start of their career at MSK through our UHC/AACN Nurse Residency Program.This evidence-based program is designed to help our nurses, after they begin employment at MSK to achieve proficiency in their profession and gain clinical autonomy at the point of patient care. 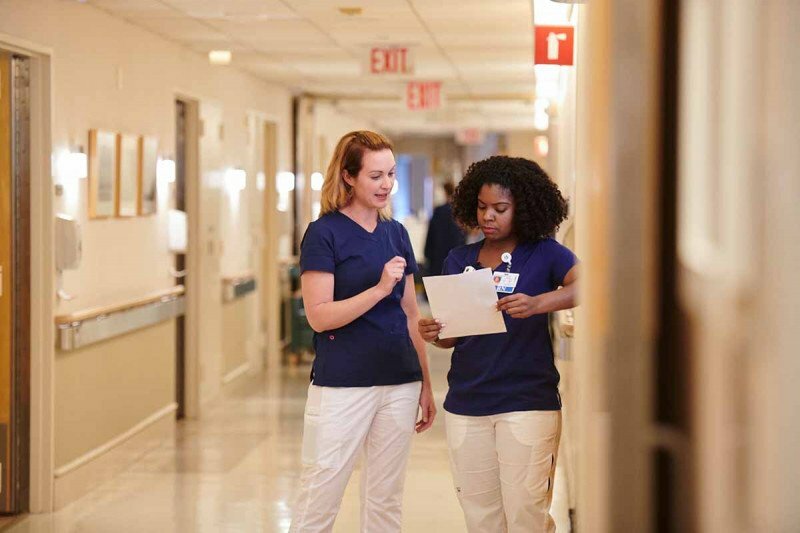 Nurses develop effective decision-making abilities related to clinical judgment and performance and learn how to incorporate research-based evidence into their practice to advance safe, high-quality nursing care. The Nurse Residency Program also helps nurses formulate individual development plans for career advancement while further strengthening their dedication to nursing as a career choice. In 2018, our graduate RN Residency Program achieved Accreditation with Distinction. This is the highest level of accreditation bestowed by the ANCC. The Nursing Career Advancement and Recognition of Excellence (N-CARE) program supports professional growth and development among MSK nurses. N-CARE follows the framework “From Novice to Expert” put forward by nursing theorist and author Patricia Benner, which calls for a four-tiered ladder of front-line clinical nurses. Clinical Nurse IVs declare one of three differentiated career pathways aimed at enhancing professional development, empowering nurses, and ensuring succession planning for advanced leadership roles. Eligible advanced degree nurses may apply for an annual award based on criteria. The N-CARE program encompasses the mission and vision of the Department of Nursing and provides consistency and standardization for professional development. As well, the individual components of the N-CARE program support our professional practice model, Relationship-Based Care (RBC). Consistent with the tenets of RBC, N-CARE acknowledges the role of the professional nurse and supports lifelong learning and professional growth. N-CARE empowers staff to engage in decision-making that impacts their practice and work environment and fosters professional responsibility, integrity, accountability, and resourcefulness. N-CARE also incorporates the concept of organizational citizenship, which requires the professional nurse to reach beyond his or her unit and contribute to the greater goals of the organization. Our N-CARE Review Board is responsible for administering a centralized, peer-reviewed promotional approval process to ensure that the requirements and process for promotion are administered fairly and with consistency.